There may be a high-rise building ruining the view of Jose Rizal's monument in Rizal Park, and another heritage building may have been destroyed for good in Escolta, but truth be told, the interest in culture and history has not been more palpable in the last decade until now, thanks to the culmination of art fairs, the growing popularity of heritage tours and of course, the food and hospitality department. More hotels and restaurateurs are turning to once dilapidated but nonetheless beautiful structures of the country's storied past as cathedrals of their gastronomic services and five-star lodging. 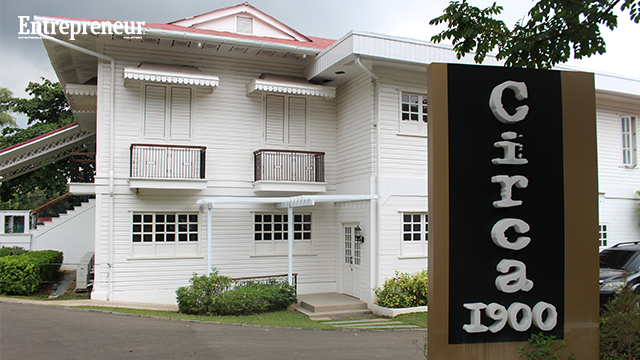 An example of such is the two-year-old Casa Uno, managed by Circa 1900 in Cebu City. Nestled in the inner streets along Sanjercasvil Road in Lahug, the restaurant has become the must-visit dining destination for locals and tourists alike, thanks to its charm and topnotch food. 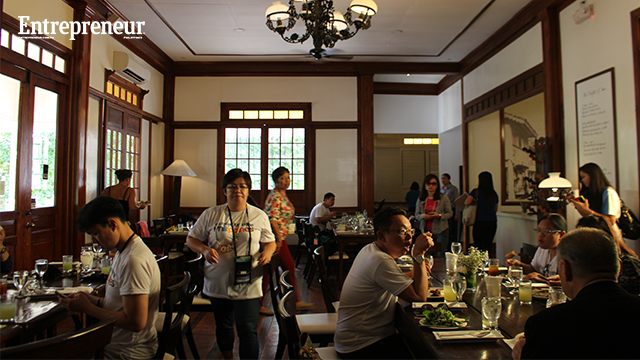 Once owned by one of Cebu’s prominent families, the Castillos, Primary Properties acquired the structure and restored the heritage house in 2013 and opened its doors as a restaurant in March 2014. "This is a colonial house built in the 1900s, thus the name. 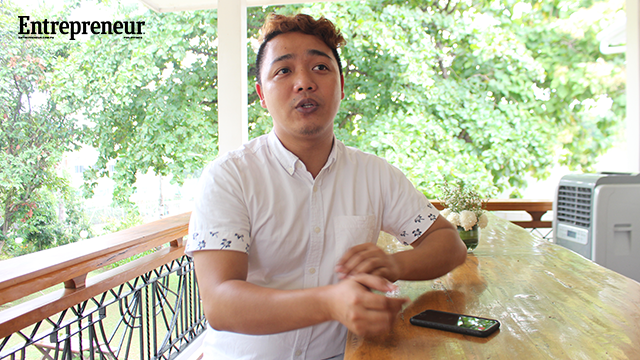 The Castillo family founded one of the hospitals here in Cebu," Circa 1900 sales and public relations manager Adrian Sollano told Entrepreneur.com.ph. 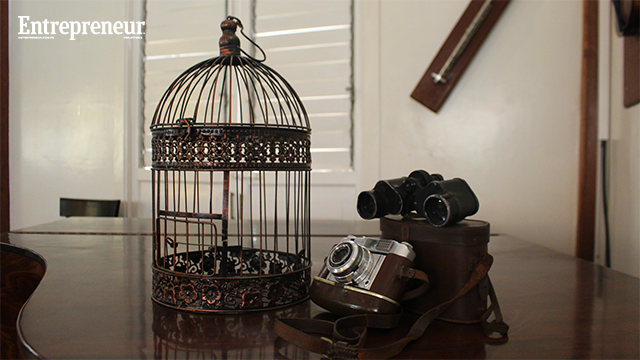 While it has been restored, the house's charm remains, definitely making clients feel at home. "We maintained the structure of the house, and restoration only took less than a year. Everything was in good condition [when we got it]. We just broke down the walls of the house so it will look more like a restaurant," Sollano said. But its entry in the local dining scene wasn't always warm. In its first months, locals and tourists found difficulty in going to the restaurant. Since it wasn't along major thoroughfares, people often got lost. Moreover, while its restoration bid homage to ancestry and history, there were a few locals who thought dining here may mean luxury. "There was [a] perception that since it's in a grand old house, it's expensive. But we have fair prices. Besides, we make sure our service is at par with international standards," Sollano added. A dinner for two can cost a little over a thousand, with the menu ranging from local favorites to modern takes on classics. More than its beautiful facade, the restaurant dares as much as it could to also feature the Philippines' best food. Its Australian head chef, Steve Shrimski, makes sure its kitchen gets fresh produce every day to the point it put up a garden of its own just beside the restaurant. "We also have suppliers from all over the Philippines since we have dishes that require local produce from certain parts of the country," Sollano said. "For example, we have one salad, called smoked malasugid, and that fish can only be found in Davao." With such promise, it is only fitting that it works with the local tourism department to attract more foreign guests. In the past two years, guests attracted by the MICE (meetings, incentives, conferencing, exhibitions) program or the local convention industry has become one of its leading markets. Local Regional Director Rowena Montecillo said in a separate interview with The Star that the Queen City of the South is looking at expanding the MICE sector, especially with the upcoming 50th anniversary of the ASEAN Summit next year, with the country as the its host. While no specific details have been laid, the metropolitan city is poised to become a more premier destination for upcoming MICE events in the next years. Such development is good news for local businesses like Casa Uno. In fact, the restaurant’s steady success prompted the management to open another heritage house turned restaurant just across it, fittingly named Casa Dos.